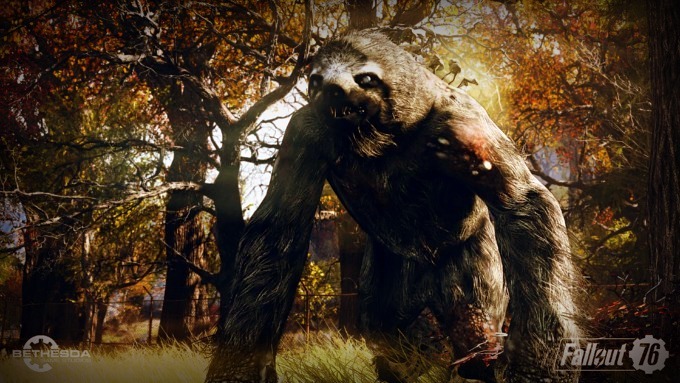 The megasloth from Fallout 76, a reiteration of the Grafton Beast? Screencap from Bethesda Game Studios. Fallout from the announced release of the “Fallout 76” West Virginia-based video game is driving record traffic to West Virginia Explorer, according to its publisher. The post-apoclyptic game set in West Virginia features many of the landmarks and characters about which the guide has published. 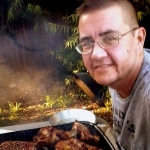 “Our advertisers should certainly be happy that we’re driving numbers like this,” says David Sibray, who’s been publishing the top-ranking online guide to West Virginia since 1999. “I’ve never seen anything like it. Rather than hundreds, literally thousands of people are visiting WVExplorer.com every hour. Sibray said technicians are working overtime to manage the dramatic increase in traffic and prepare to manage traffic yet to come as the game is released. Fallout 76 is part of the series of post-apocalyptic games set in the 22nd and 23rd centuries in a world ravaged by total nuclear war and destruction. Todd Howard, the director and executive producer at Fallout’s publisher, Bethesda, said that Fallout 76 is a prequel to all other games. Sibray suggest advertisers interested in reaching the West Virginia travel market contact the West Virinia Explorer’s director of sales and marketing, Margaret Green, at 304-647-5637 (office) or 304-646-0950 (mobile). Can you spot the West Virginia landmarks in the new Fallout 76 video? Previous articleLooking for a business boost? Next articleFallout 76: Which West Virginia landmarks can you find?